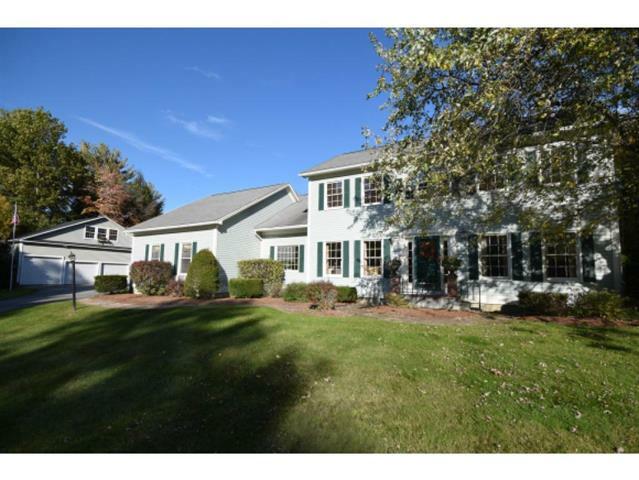 Elegant colonial in a desirable Colchester location! Enjoy entertaining in this bright, airy kitchen with granite counter tops and expansive island while listening to everyone’s favorite music in surround sound. This opens to a formal dining room with gorgeous cherry hardwood floors that extend across the first floor through the sun room and office. Cozy living room with a warm pellet stove/fireplace looks out over a secluded backyard. Gorgeous, mature landscaping creates a private space with an in-ground pool, patio and deck, as well as room for a hot tub. The luxurious master bedroom with marble master bath and jetted soaking tub includes attached sitting room with fireplace and walk-in closet. Three additional large bedrooms offer plenty of space for everyone! Relax with the finer things in the absolutely fabulous wine cellar or unwind in the game room with brand new tile that extends across the finished basement. Recent updates also include new windows! Space for all your toys with a 2 car attached as well as a 4 car detached garage. All on 1.6 private acres with 50 acres of common land with nature trails to enjoy. Enjoy plenty of privacy while still being close to everything!